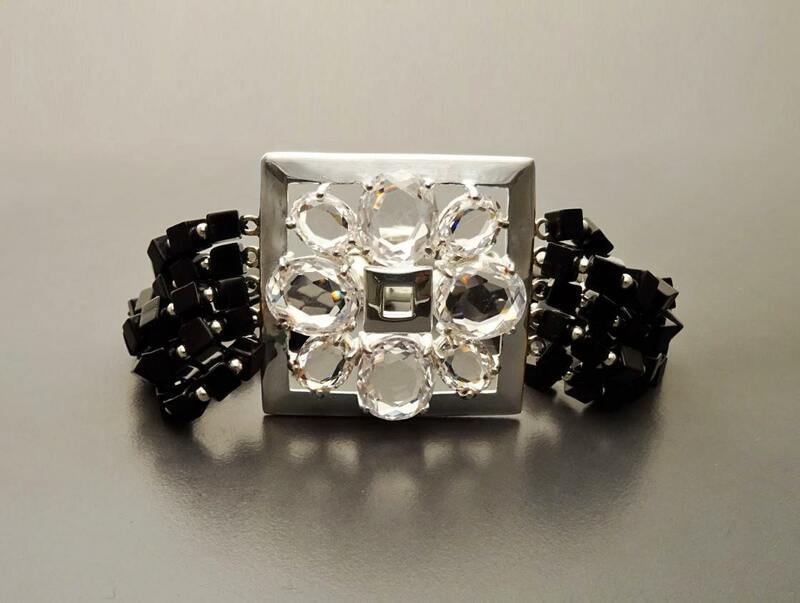 Statement Black Onyx Bracelet - Sterling Silver Square set with Cubic Zirconia - Onyx Bracelet - Sterling silver Bracelet - Gift for Her. 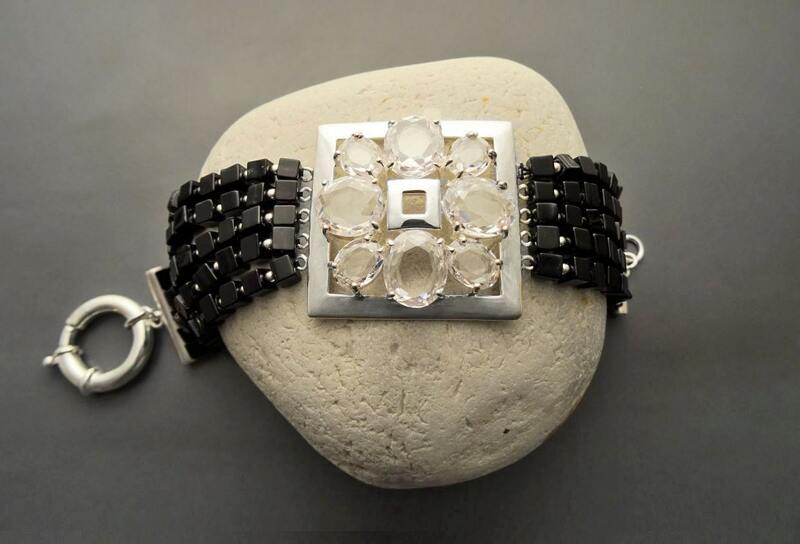 Dramatic and Graphic in design this Modern Onyx Gemstone Bracelet with a Sterling Silver Central Square set with Cubic Zirconias is Absolutely Gorgeous. 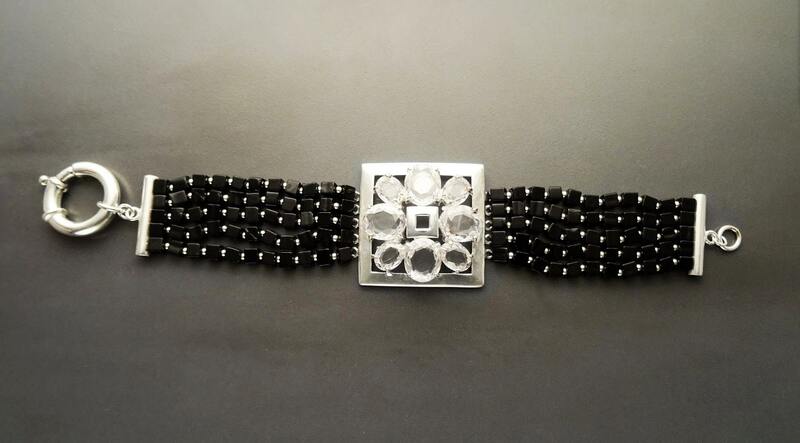 * This Bracelet can also be done with Turquoise and Silver for a great combination! 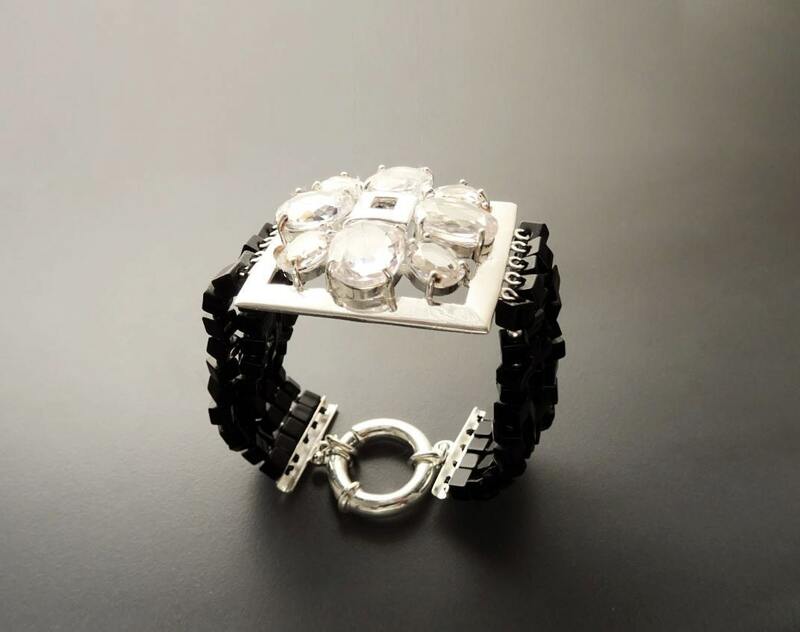 Amazing bracelet, fast shipping. Thank you so much! Absolutely stunning bracelet. Perfectly made and shipped in excellent time. A credit to its maker.